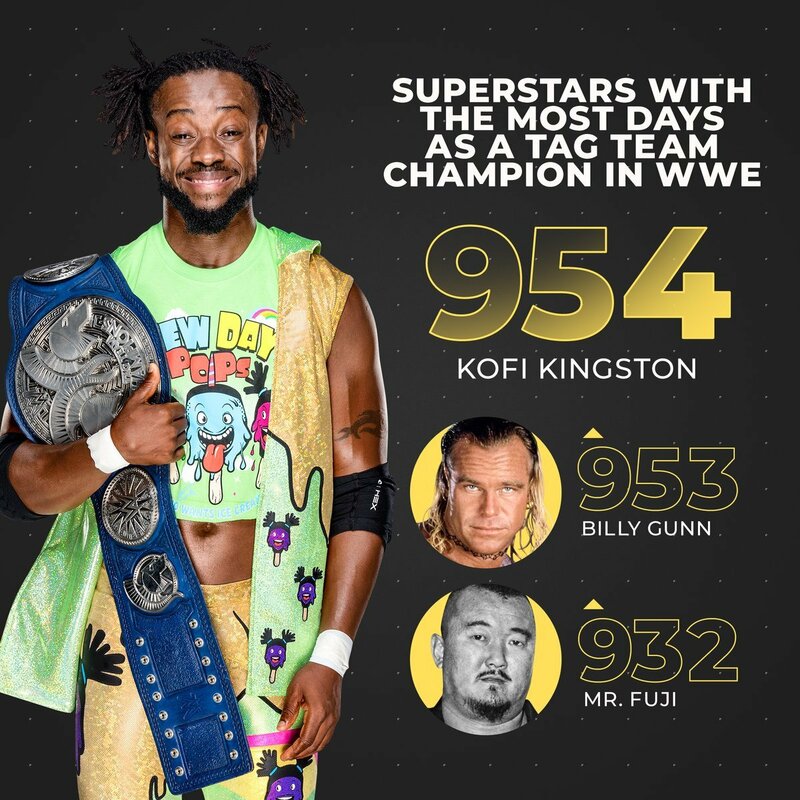 Kofi Kingston has been one of the most successful wrestlers in WWE during his 12 years on the main roster. While he has yet to become a World Champion in WWE, he is a 8 time Tag Team Champion (5 with the New Day), 4 time, 3 time US Champion. During New Day’s last reign as Smackdown Tag Team Champions, he also set a record with the most days as a Tag Team Champion in WWE history. The graphic is from September 2018. In addition to that, he’s also been one of the most durable guys on the WWE roster. He’ll be 38 years old this year, which some people might consider old, but I think he’s doing some of the best work of his career. As long as he can stay healthy, he can wrestle well into his 40s if he wants to. Kingston was recently interviewed by the Canton Repository (that name sounds familiar!) to promote a WWE live event. Here are some of his comments. You can read more from Kingston’s interview with the Canton Repository here. TJR Thoughts: I’m a huge fan of Kofi and I admire him for his longevity in WWE. It’s not easy to be as successful as he has been. I think the point about reinvention is very good and he listed some of the biggest names in the history of WWE that have known when to change things up and have a lot of success at it. Kingston should get a lot of credit along with Big E and Xavier Woods for how entertaining they have been as New Day. It’s been nearly five years and they always know how to entertain us. I hope there’s no split any time soon.